France in London | French troops jeopardize an art exhibition in London...by mistake! 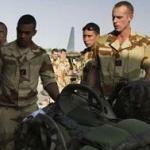 French troops jeopardize an art exhibition in London...by mistake! Jonathan Longuet was getting ready for his first exhibition in the UK when the French army took his paintings off to Mali by mistake. 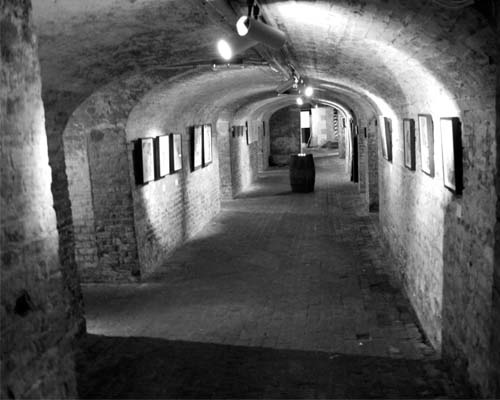 In the heart of London, beneath the arches and alcoves of the Crypt Gallery, a quarter of the walls were empty. For a whole year, Jonathan had been preparing "In The Void", his first exhibition in the UK presented by the bio-art group "Painting-Bordeaux". For a whole year he had been organising his first steps into the British art market. During a year he had been working on his ten paintings, each of them worth between 1000 and 1500 euros. 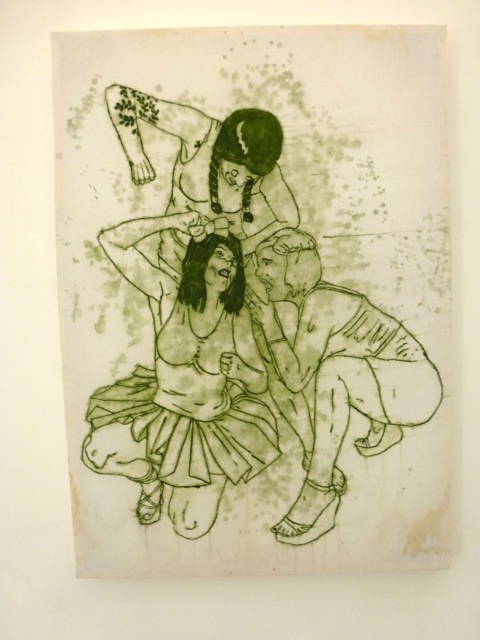 Made out of plants, the paintings he was meant to present deal with feminism issues and how they fight for their rights, hence the title of the collection, “Green Riot”. The day he went to London, he put all these paintings into a military bag. 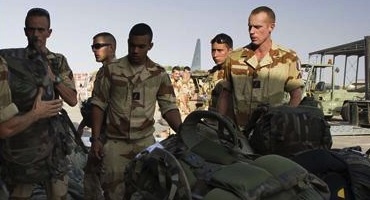 On the same day, in the same airport, soldiers were going to Mali charged with many bags that looked exactly like his. Once Jonathan Longuet arrived in London, his bag was no longer there, and he could no longer show his work to the British public. The next day, he received an email from a lieutenant in Mali, telling him his bag had been found in Bamako. Jonathan Longuet called the French Embassy, the Ministry of Defense and finally the Secret Services, in vain. The affair was classified as "strategic" and was kept secret. A few days later, after hours spent on the phone with Air France and British Airways, his bag was going to be sent to London. But they made another mistake and the bag got sent back to Bamako. To explain why his work was not presented in the gallery, he put a photo of a solider fighting in Mali on the empty wall. He drew an arrow pointing to the soldier's bag indicating “My bag?”, naming the whole installation “Make Art Not War”. Contrary to what was expected, the public actually thought this last minute explanation was an artistic event criticising the war in Mali. In the end, his bag arrived in London five days after the beginning of the exhibition. Neither Air France nor British Airways provided him with financial compensation. But for the artist the worst part of the story was the “flaw in security controls within the French Army”: “Anyone could have left an Iphone in a bag and located it, or organised a terrorist attack”.